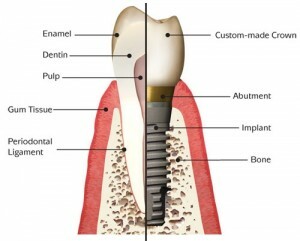 Thinking of getting dental implants in Pittsburgh, PA? The following guide lists the top 10 dental clinics as well as what you can expect to pay for a dental implant in Pittsburgh. Click on the profile of a dentist near you to read more about them. Here are some examples of how much people have paid for dental implants in Pennsylvania. The Dentistry has been serving Western Pennsylvania for nearly 30 years. We are a full service dental clinic specializing in sedation dentistry also known as a sleep dentist. Providing cosmetic dentistry, sedation dentistry, and dentistry for kids, our offices have grown with increasing demand for pain free dentistry. Holding dentist facilities in Irwin, West Mifflin, Greentree, Natrona Heights, and Wexford, Pennsylvania, The Dentistry is a qualified team of dental hygienists, oral surgeons, orthodontists, pediatric dentists, and periodontists providing a full range of services. Born and raised in Pittsburgh, Dr. David May graduated from Grove City College with a BS in Biology and then his received his DMD from the University of Pittsburgh School of Dental Medicine in 1979. He currently lives in the South Hills with his family. Shadyside Dentistry treats your oral health as part of your complete health – in a comfortable, pleasant environment. We are proud to be an environmentally responsible, green dental practice – using digital X-rays and other technologically advanced, eco-friendly materials and practices. Dr Leahy’s recognized expertise and 25 years experience in dentistry keeps our patients coming back for continued care. Shadyside specializes in providing exceptional care for general dentistry, implant restoration, cosmetic dentistry, and care for veneers. Our dental clinic specializes in cosmetic and restorative dentistry in the Oakland and Greater Pittsburgh areas. Our dentist, Dr. Richard Gottlieb, DDS, also specializes in sports dentistry, meeting the dental needs of area athletes in a variety of sports. For nearly 40 years, patients have trusted their dental health to our team, whether it’s a routine cleaning or preventive checkup, or cosmetic work, dental implants or even reconstructive dentistry. Contact us today to get started with a lasting partnership for your dental health! General and Preventative Dentistry – check-ups, periodontal therapy, extractions, and TMJ therapy. Cosmetic Dentistry – Teeth Whitening, Porcelain Veneers, Invisalign Clear Braces, Cosmetic Bonding and Contouring, and Smile Makeovers. Dr. Joey Troupe offers his patients comprehensive dental care including tooth-colored restorations, dental implants, Invisalign, pain management, emergency services, cosmetic treatment such as veneers and teeth whitening, fixed and removable dentures, oral cancer screening, night guards for TMJ and tooth-grinding, and more. Dr. Troupe has trained extensively around the country and takes pride in offering the most modern treatment that is available. The dental clinics in Pennsylvania serve the following areas. Click on a county or region below for a list of the best dentists in that area.